It’s really tough to describe the style of the newest robots. Derp, the general quality of being awkward and embarrassing feels like the right word, and I think you’ll agree. No one is saying that the technological innovation coming out of these new robots isn’t cool, but let’s be honest about their appearance. Aimed at children and designed to, among other things: DJ, dance, and do yoga poses the Alpha 2 might give BB8 A run for its money. The Alpha 2 was started by a successful crowdfunding campaign. This little dude is a solid attempt to bring us one step closer to the Jetsons future we all want in the 21st century. With a $1,300 price tag, it’s not for everyone and the technology still might need a little work before its release this March. The Alpha two is set to be available at Toys R Us and Amazon. A full article by CNET here. Another Robot as the result of a crowdfunding campaignon Kickstarter. 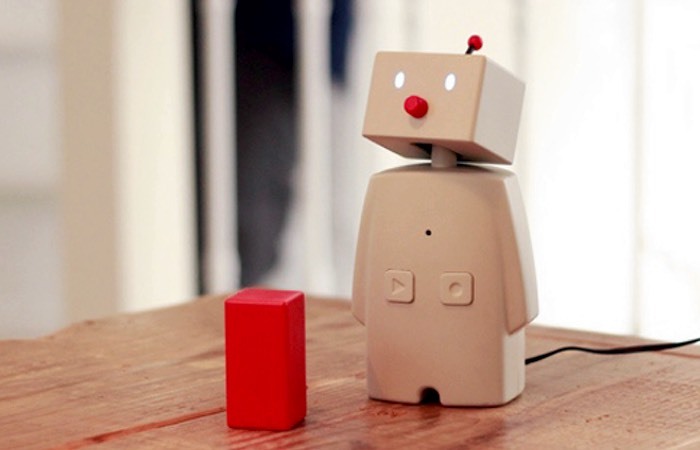 This little Guy is named Bocco, and he is designed to help parents and children stay in touch by allowing parents to do things like record messages on their smart phones and send them to Bocco. This little guy costs $240 and is available for preorder now. Read Ubergizmo’s article about Bocco here. This thing watches over you while you sleep and makes sure you brush your teeth. Some people think it’s creepy, I wouldn’t have her/him/it any other way. Coming in at a price tag of $125, Mother is actually available on the market now. If you can get past its weird derpy look, Mother can actually be pretty useful. Read CNET’s product review here. For $200 WowWee Chip, the newest robot dog will fetch a blue tooth ball. But, can you really put a price on a new best friend? Joking aside Wowee Chip’s demo video is pretty impressive, and don’t you want your dog to look kind of derpy? Read a full article on Chip by business week here. The Segway Ninebot may have the derpiest looking face around, but don’t let his looks fool you. The Ninebot is pretty smart. This Segway robot can follow you around, and let you jump on and ride whenever you get tired of walking. There are various models but these are actually pretty affordable at a price tag of $315. Read a full article on the Ninebot by Tech Times here. 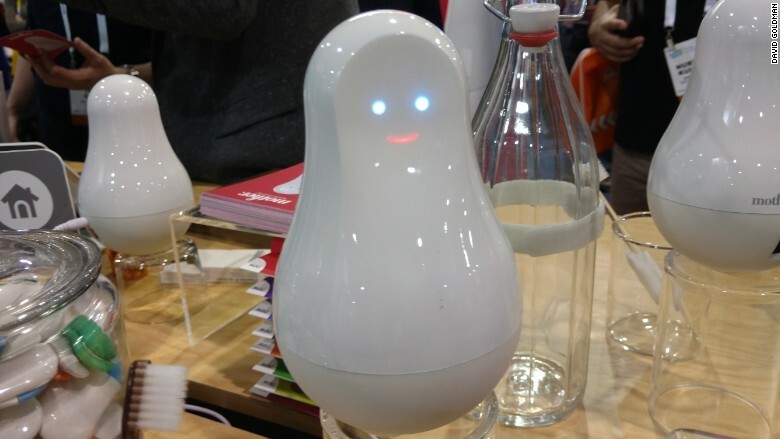 Image credit: TechTimes.com | The New Segway Can Transform into a Cute Robot Assistant.